This is the first post from the new domain, about my first love, mountains. First off two big thank yous are due, first to Max Hartshorne, editor of Gonomad, who gave me my first break. You and Gonomad will always remain special. Second one is due to my brother-in-law Amrit Hallan who managed my domain shift with such ease. Now off with the post. For this Sky Watch Friday, I bring you my first love, the mountains from my travels near and far. 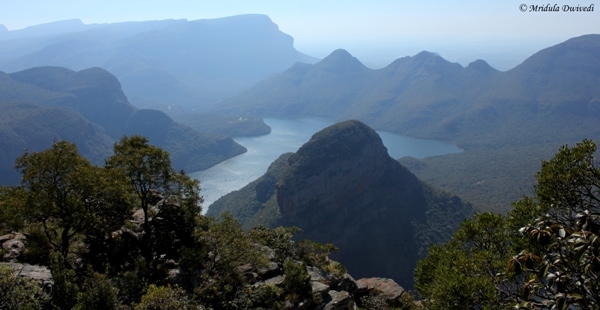 Blyde River Canyon is a stop on the Panorama Route, Mpumalanga in South Africa. All the stops on the route are beautiful but Blyde River Canyon was extra special for its fantastic views of the Drakensberg Mountains. We went to sleep in a green field at Taluka and woke up to a white cover overnight. 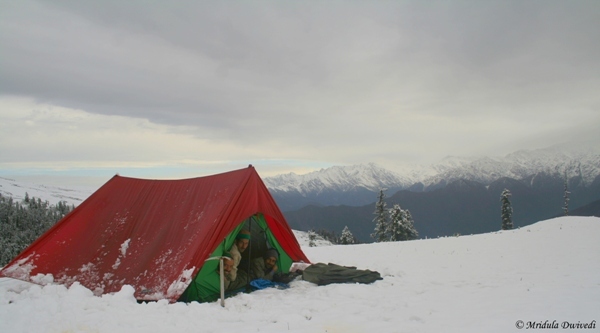 Well, that was not strictly true, as our guide came to wake us up at night so that we would not let snow accumulate on the tent roof, or it would collapse. 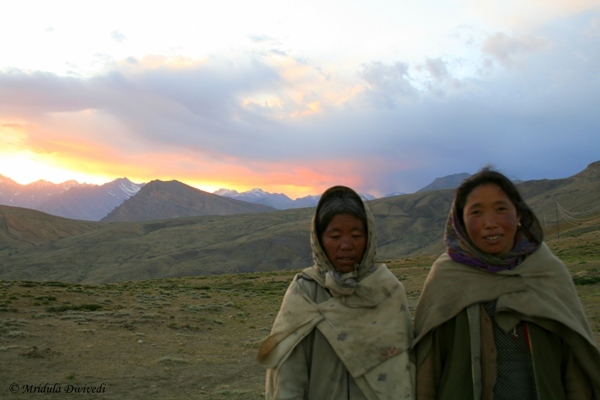 This is a picture from the 2007 Spiti trip. The place was Komik, I was out clicking pictures at dusk. The women didn’t speak Hindi but they readily posed for me. I found all these cotton candies in the sky while from Dingboche to Lobuje in Nepal. 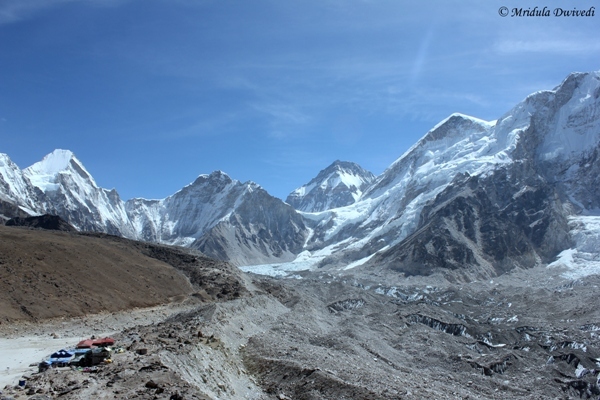 Everest Base Camp has been the trek of my lifetime. 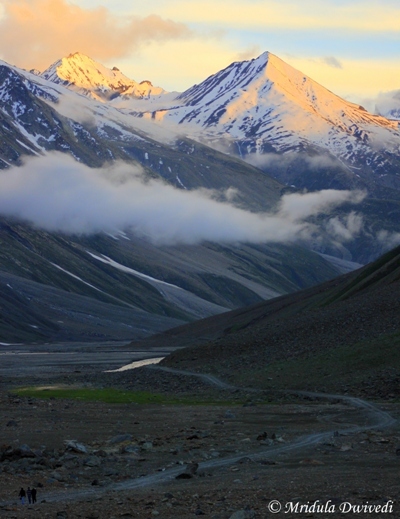 This is again from the 2007 trip to Spiti. Langza then was a small village, our starting point for the trek. What you see is the whole village in the picture! 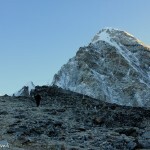 This is again from the Everest Base Camp Trek in Nepal. 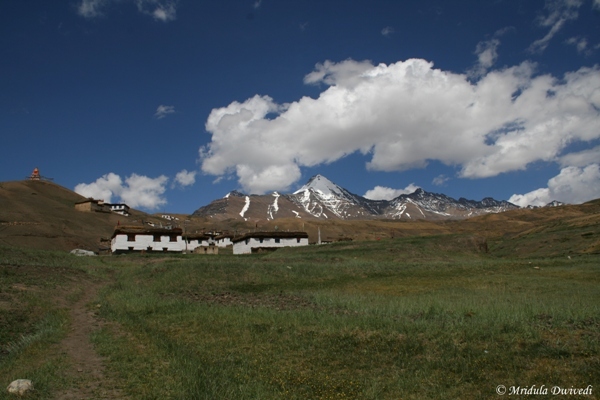 The place, Gorekshep is at 5100 meters and for me that was killing. I could neither eat nor sleep. Thankfully it was a one night halt. 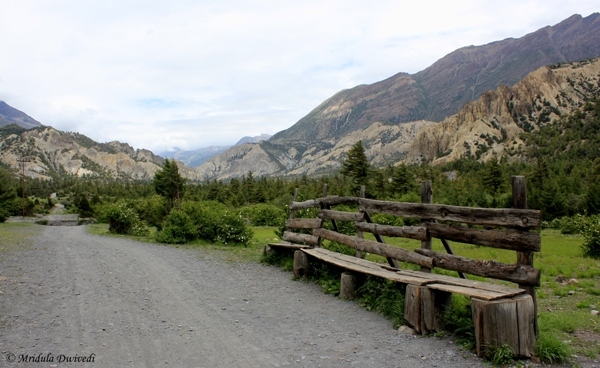 Annapurna Circuit Trek is an unfinished business for me. I could not finish it as the route was all snowed out. I hardly got any views as well because of the clouds. More or less since then all my mountain trips have met the same fate, too many clouds. I went to Spiti this year again, the idea was to go to the Chandratal Lake. Apart from this view which I got for a few hours at Batal, everything was covered in clouds once again! This was the majestic view when I was coming back from Gorekshep. As I sleep at 7-8 pm on treks waking up at 5.00 am is natural too. This view was the reward for getting up at 5.00 am. 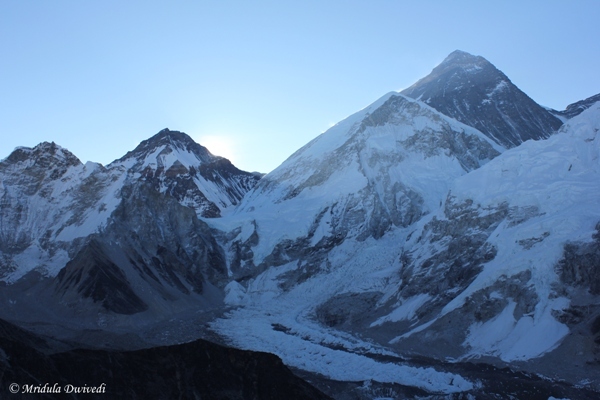 It is natural to put it at 1 because of the Everest. 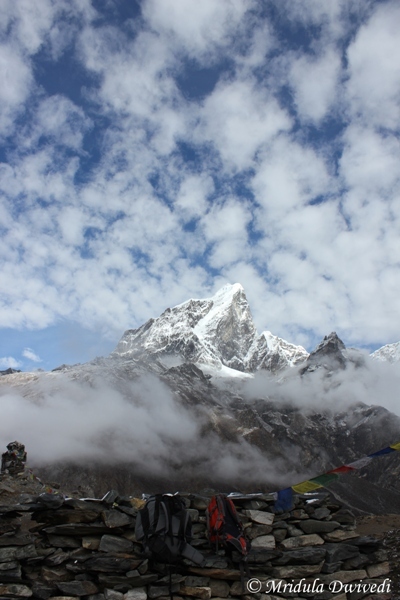 I was so tired when I reached Kala Patthar eventually. But to see Everest with my own eyes was truly special. Wow – magical and gorgeous photos! 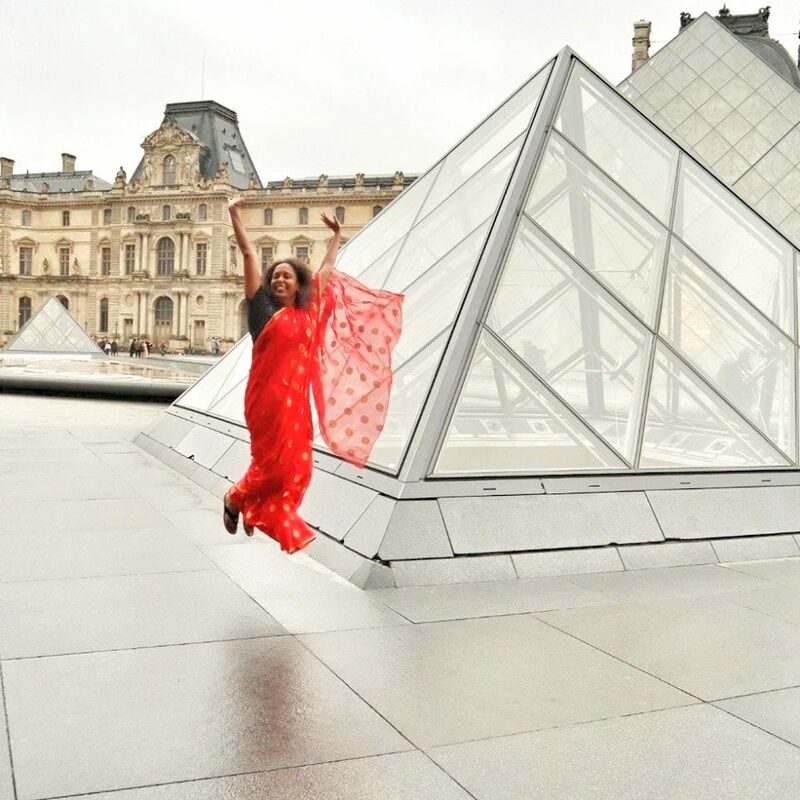 Love these breathtaking views Mridula! Each one of them is so wonderful! Amazing views of the mountains. amazing images. 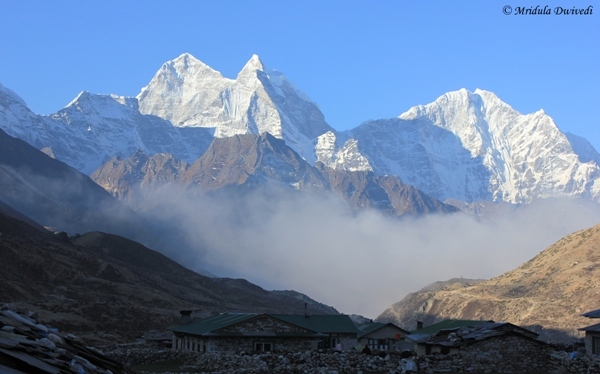 love all the mountains, especially Everest. Truly majestic! The light reflecting off the snow on the mountain tops is spectacular! Lovely frames! I too love the mountains.